How Important is VO2 Max? What Does Yours Acually Mean? How Important is VO2 Max? What Does Yours Acually Mean? Runners Connect » » Training Articles How Important is VO2 Max? What Does Yours Acually Mean? How Important is VO2 Max? What Does Yours Acually Mean? But what is VO2 max and how does it relate to runners? When VO2 max tests were largely the focus of academic studies, the concept of max VO2—something rooted in physiology—didn’t seem that important to your average runner. It was something that elite runners and researchers could worry about. But now there are private companies and academic labs all over the place offering to do VO2 max tests on runners and cyclists of any ability level to aid their training. Many GPS tracking devices now provide a VO2max number. How do we define VO2 max? @Runners_Connect Click To Tweet But, how do we define VO2 max? Should you pay for a lab test to find out what your VO2 max is? Is the reading from a GPS device even accurately able to measure our aerobic capacity? 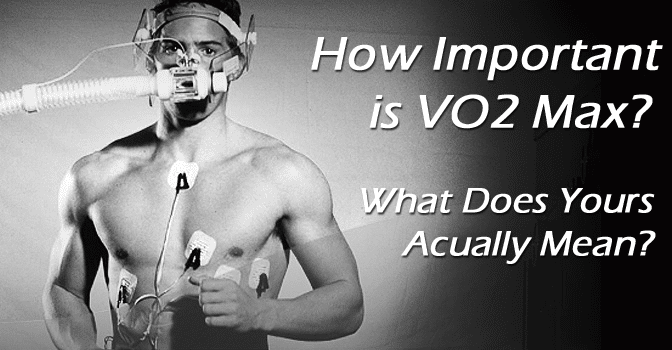 Put simply, your VO2 max is a numerical measurement of your body’s ability to consume oxygen. It’s not something intrinsic; it’s an external parameter that is affected by things like how many red blood cells you have, how adapted your muscles are to distance running, and how much blood your heart can pump. In a laboratory, it is calculated by measuring the volume (V) of oxygen (O2) that you consume while running on a treadmill. In a VO2 max test, you’re hooked up to a breathing mask while you undergo a progressively more difficult treadmill test. Your VO2 max occurs when your oxygen consumption redlines—this usually happens at a bit faster than your 5k race pace. At this point, your heart rate is also maxed out, and you’re working pretty hard. After doing a bit of math involving your rate of oxygen consumption during the exercise test and your body weight, a physiologist can come up with a number that expresses how much oxygen you were consuming running at your hardest. This number is your VO2 max. What are normal numbers for a max vo2? In most people, it will be somewhere between 30 and 60. For the technically-inclined, the units are milliliters of oxygen per minute per kilogram of body weight (ml/min/kg). As an added bonus, almost any lab that does VO2 max testing will measure your heart rate at the same time, so you’ll find out your maximum heart rate, too. What about my GPS watch reading? Because a VO2max value needs to be tested in a lab (you can’t get VO2max without measuring ventilation, oxygen and carbon dioxide concentration of the inhaled and exhaled air), readings from your Garmin are just a rough guess, so ignore them. That doesn’t mean it can’t or won’t be right. But, I wouldn’t base my training off it given the potential for inaccuracy. What does VO2 max mean for runners? So, you got your VO2 max tested and now you’ve got a number. What does this mean? Is a higher number “good”? All else being equal, a higher VO2 max is a good thing: it means that your body can take in more oxygen and deliver it to your muscles, enabling you to run faster for a given effort. When aken by itself, VO2 max is not very helpful, because your ability to process oxygen is only half the equation when it comes to how fast you can run. The other half is how efficiently you put that oxygen to use. Among a group of runners with the same VO2 max, you’ll see a wide variety in their PRs. While elite runners do indeed have very VO2 maxes, the ones with the highest VO2 max aren’t always the fastest. Studies have found that a higher VO2 max is not enough to prevent heart disease, your diet also plays a huge role in your health, especially as a masters runner. How does my VO2 max help me measure my fitness? A better measure of fitness which takes efficiency into account is how fast you were running when you hit your VO2 max. This is known as your velocity at VO2 max, sometimes denoted vVO2 max. You won’t always get this number when you do a VO2 max test, because some testing protocols ramp up the challenge by increasing the slope of the treadmill instead of speeding it up. Velocity at VO2 max is a pretty useful metric. It’s a great speed to do interval workouts at because, as you might guess, running at VO2 max pace is a great way to improve your VO2 max. And some training programs base all of their workouts on percentages of VO2 max, just like heart rate training programs base workouts on max heart rate. Something that is usually hard to find an answer to, right? If you’re short on motivation, knowing what you are physiologically capable of can keep you honest on interval days. Download your FREE Improvement Performance Calculator now in your members-only download section. Click here to access this handy pace calculator to determine what pace you should be running at for in training and at each racing distance based on a recent race result. 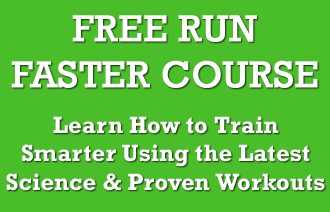 Would Every Runner Benefit From a VO2 Max Test? You can also get a pretty good estimate of your VO2 max, or at least your velocity at VO2 max, from your 5k or 10k PR, assuming you’ve raced one recently. Charts or online calculators can help crunch the math. And obviously knowing your VO2 max (and especially your velocity at VO2 max) is really only important if your training plan demands knowing what it is—or if you’re just a running nerd. Don’t worry, we are too! Outside of that, VO2 max is a pretty nice measurement for doing scientific research, as it can be used to identify and isolate improvement from training. But by itself, it’s not hugely useful to regular runners or even coaches. The scientific demands of your race distance so you know exactly how to target your workouts and training. 1. Bassett, D. R. J., Limiting factors for maximum oxygen uptake and determinants of endurance performance. Medicine & Science in Sports & Exercise 2000, 32 (1), 70-84. 2. Helgerud, J., Maximal oxygen uptake, anaerobic threshold and running economy in women and men with similar performances level in marathons. European Journal of Applied Physiology 1994, 68, 155-161. 3. McLaughlin, J. E.; Howley, E. T.; Bassett, D. R. J.; Thomson, D. L.; Fitzhugh, E. C., Test of the classic model for predicting endurance running performance. Medicine & Science in Sports & Exercise 2010, 42 (5), 991. A simple fact about running know by the old coaches, is that when your unable to talk while running, you have hit your vo2max, slow your speed and see if you can talk again. Thanks for the comment Luis. Very true, when it comes to easy running, you should be able to have a conversation, which means you are running slow enough for your body to be able to recover. Just wishing to take a vo2 test just to see how my asthma effects my ability to compete in cycling events.